Yoshi eggs are very powerful and very hard to find. If your little one is coming home from school or heading out to play and happens to see a white egg with green dots on it, then we suggest that he quickly picks it up and puts it someplace safe. Of course, he probably already knows that if he is a Yoshi fan. And he is THE Yoshi fan. 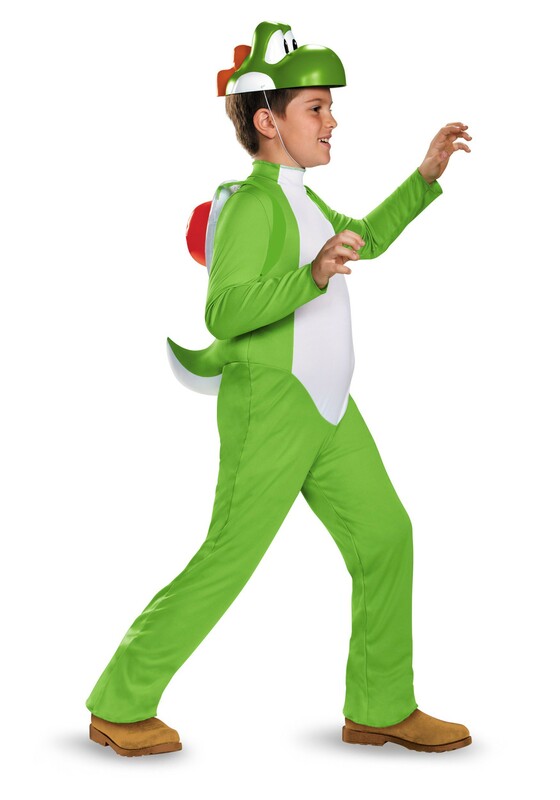 So it will be truly thrilling for him to slip on this Boy’s Yoshi Deluxe Costume and suddenly feel as though trick-or-treating has turned into a rare Yoshi egg hunt. 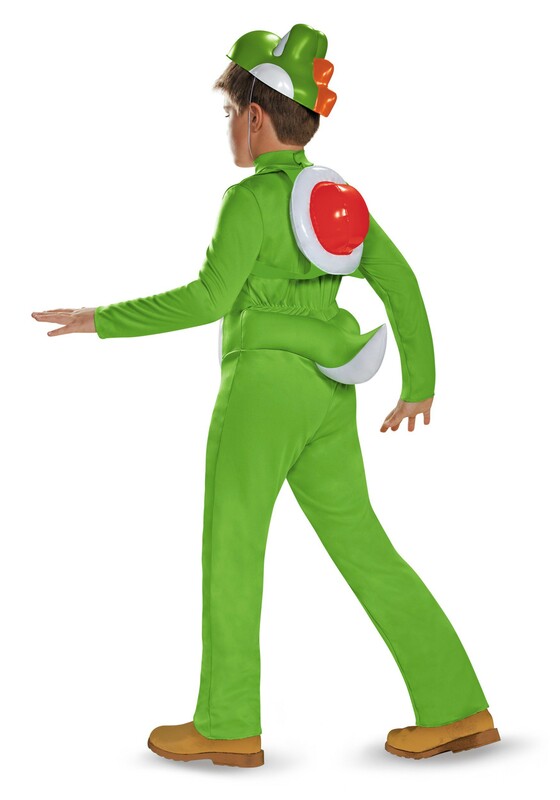 He can help Mario rescue Peach, take a trip to Yoshi’s Island, or even hop a kart in this cute and iconic costume. With an imagination as big as your little boy’s, the possibilities for this costume are truly as endless as the Super Mario series itself. We want to make it very clear that this costume will not grant your kiddo the ability to lay dinosaur eggs, unfortunately! Similarly, there is a strict trade regulation around these rare eggs, so if he finds any he should keep them for himself. In this green jumpsuit and molded plastic Yoshi mask, your little dino needs only to inflate his shell to drift off into his favorite world. Imagination like that doesn’t last a lifetime, unless you’re a character from a decades long video game franchise! Cute enough hat and red blow up bump. 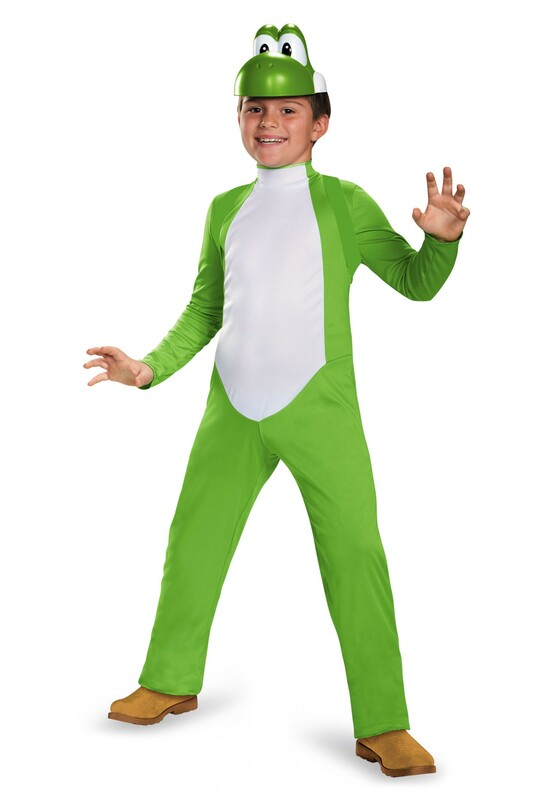 I ordered boys Yoshi deluxe costume in a size M (medium). Length is shown as 45 inches on the size chart on the description page. What I received measured at least 10 inches less, and there was a dirt spot right on the white part. Now what to do? Bummer.